On the left is a photo of Leah Lato taken from the facebook page of Me to We, a program of the Canadian organization Free The Children. Along with this image is a post written by a program volunteer praising the work of ‘Mama Leah’, my final interview of Maasai women who are making positive differences in their community. Read more about Me to We below. On our last evening in Olosho oibor we are invited for dinner at the compound of Leah and husband John ole Sakuda. She is John’s first wife in a polygamous marriage with 2nd wife Susan Sakuda, featured in the April 2, 2015 post ‘Teacher’. I manage to steal Leah from her cooking hut for our interview. We sit on chairs in front of her manyatta with rays from the late afternoon sun splashing our faces while Susan Naserian and Susan Sakuda finish the preparations for a nutritious stew of fresh carrots, peas and potatoes, fresh cabbage lightly turned in a hot skillet to a crunchy delight and chipati–a flat bread much like a flour tortilla. Children are playing in the compound and the voices of Alice, Phyllis and John drift out to us from inside the manyatta. Leah grew up in a polygamous family born from her father’s third wife. She is one of nine siblings that include three brothers and five sisters. 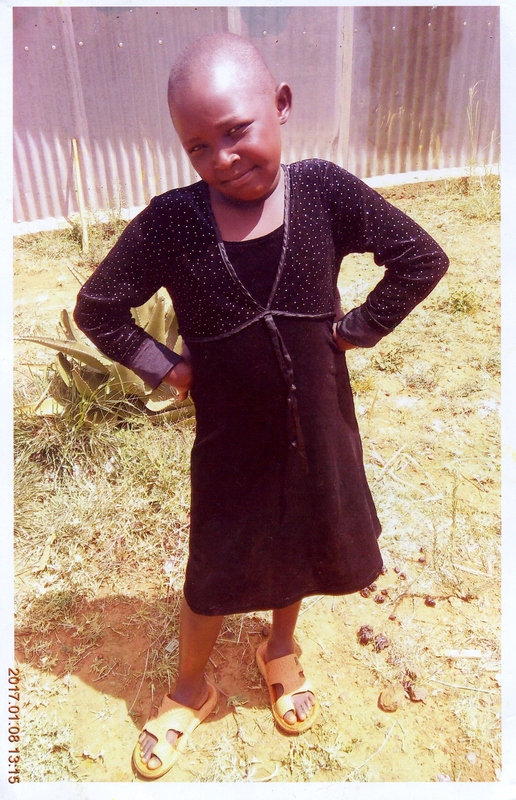 Although she wanted to complete her education through high school, she left school after the 8th grade. A skillful beader she sold her jewelry in the market. After she becomes the first wife of John Sakuda their son Richard is born in 1992 followed by two more sons—Benjamin in 1995, Shadrach in 1998 and lastly Julia, a daughter in 2008. In 2008 when an American aid program sends people to Kenya, Leah agrees to host one of the group’s staff–Robin–in her home. 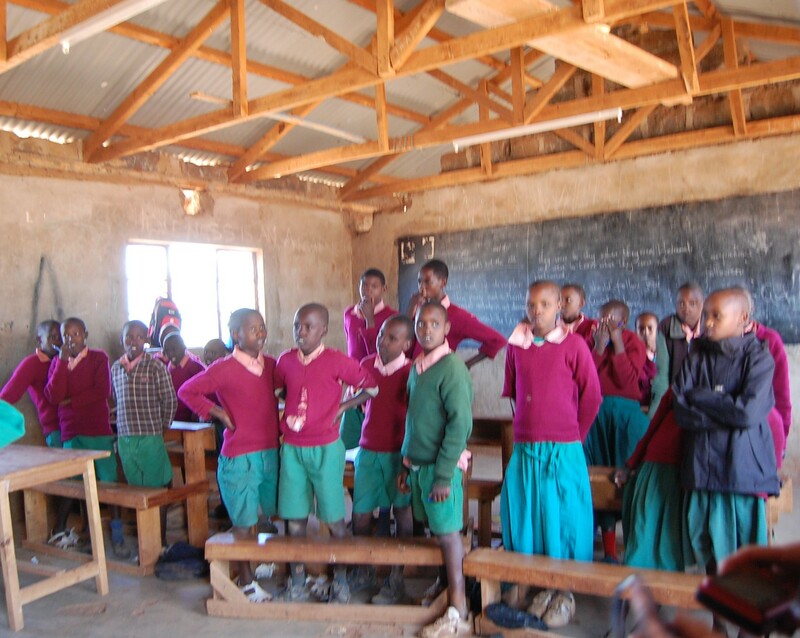 Robin stays in Kenya for 6 months, embracing the culture and even learning some Swahili. “She became my daughter”, Leah explains to me. Robin returns to Chicago and while there learns that a Canadian organization–Free The Children–is seeking people to facilitate its program in different countries. Free The Children partners with communities to raise funds and awareness for children around the globe. Robin’s familiarity with Kenya and the Swahili language in 2010 returns her to this country she loves where she is again hosted by Leah. When Robin asks Leah to bead jewelry for consideration in the organization’s funding program, she is offered employment with them. 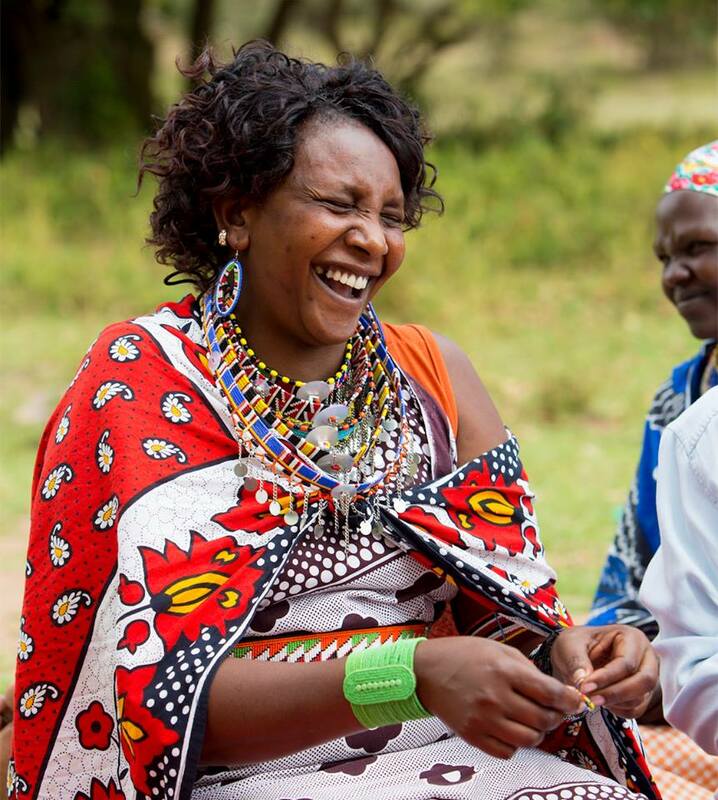 Her experience with the Maasai women from the Olorien co-op gives her easy access to 25 women to bead 500 oringas which are approved for shipment. Oringas are wooden sticks, about an inch in circumference and just a little over a foot long, carried by Maasai elders as a sign of tribal leadership. The 25 women receive payment for their work with Free The Children which continues when other beaded items—belts, bracelets and key chains are created and shipped to the United Kingdom. The organization offers Leah employment with their program, Me to We. As described on their facebook page it is “… an innovatice social enterprise that provides people with better choices for a better world. We offer socially conscious and environmentally friendly products as well as life-changing experiences.” The program is active in other countries around the globe where children’s lives are at risk. Leah becomes a designated spokesperson for the Maasai culture, traveling to the UK to represent Me to We at an event sponsored by Virgin Atlantic Airlines. During a trip to Canada Leah meets the 2015 Nobel Peace Prize recipient Malala Yousafazi, the Pakistani youth who in 2012 was nearly killed just because she attended school. Malala is helping the organization raise awareness about the plight of children around the globe. Leah’s duties with Me to We include describing the Maasai culture, women’s empowerment, children’s education and the need for clean water. 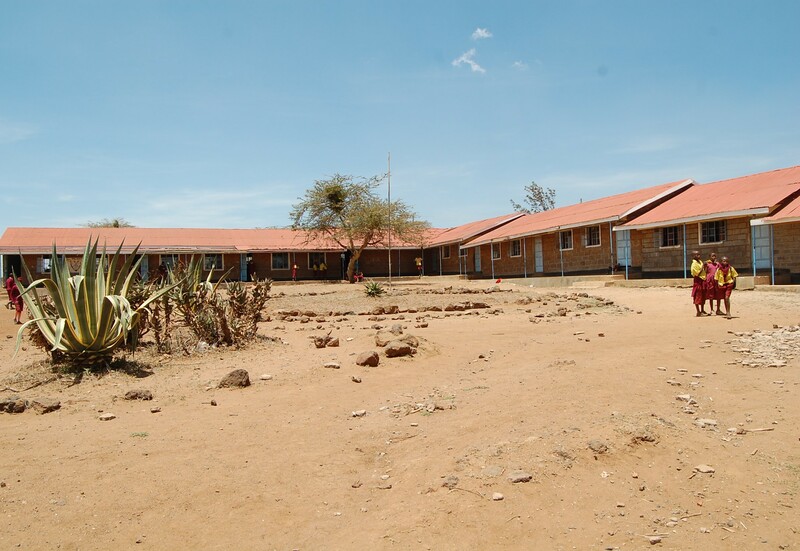 The income from this salaried position enables her to purchase materials to build a brick house on her compound and pay the tuition for her children’s education. Now back to Robin—Leah’s “daughter”. On a brief return visit to Chicago Robin gets engaged and decides she wants to be married in the Maasai tradition. In June of this year her family and some friends will travel to the Olosho oibor village to witness a traditional Maasai wedding at John and Leah’s compound. Maasai weddings bring many people together. The women of the village will smear Robin’s body with a paste mixture of oil and the red-colored soil of Kenya. 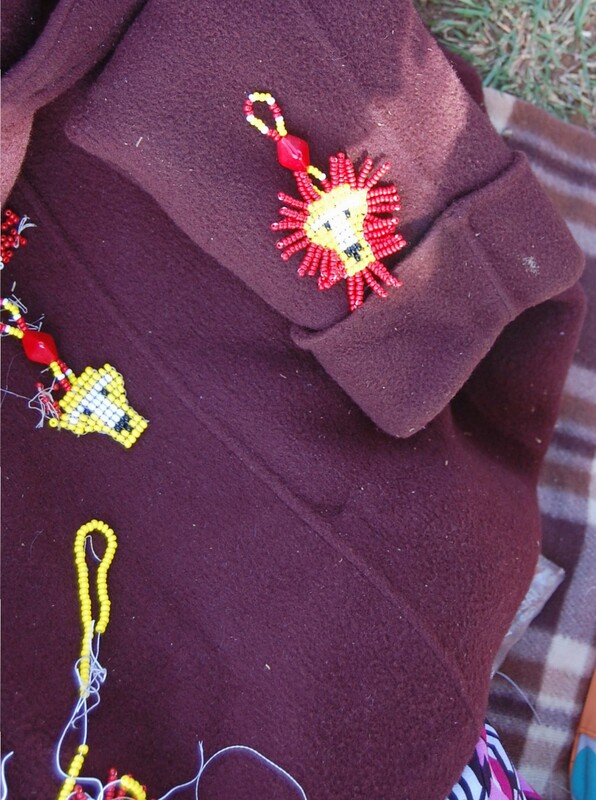 Robin will be draped with Maasai jewelry from head to toe. Since Robin and her husband-to-be will make their home in Kenya, they may possibly receive gifts of cattle and goats from guests at the wedding. From a village in southwest Kenya to venues around the globe: Well done Mama Leah.